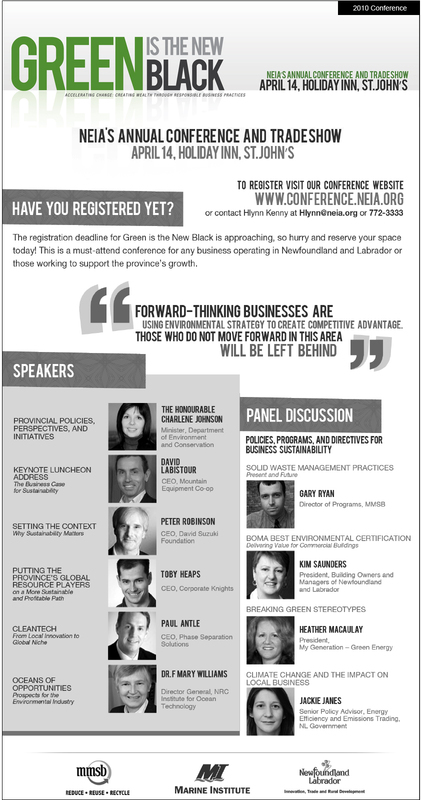 Newleef is Newfoundland & Labrador’s green economy conference, focusing on the products, services, technologies, policies, and innovations in the province that can help build our economy and protect, mitigate effects to, or even enhance the natural environment in the process. Click the links below for information on upcoming and previous Newleef conferences. Newleef 2018 will be taking place on October 10-11, 2018 at the Holiday Inn in St. John’s, NL.